The programme at Beit Cure Hospital is helping prevent disabling hearing loss by improving access to treatment for ear conditions, while also improving support for people living with hearing loss, including access to hearing aids. 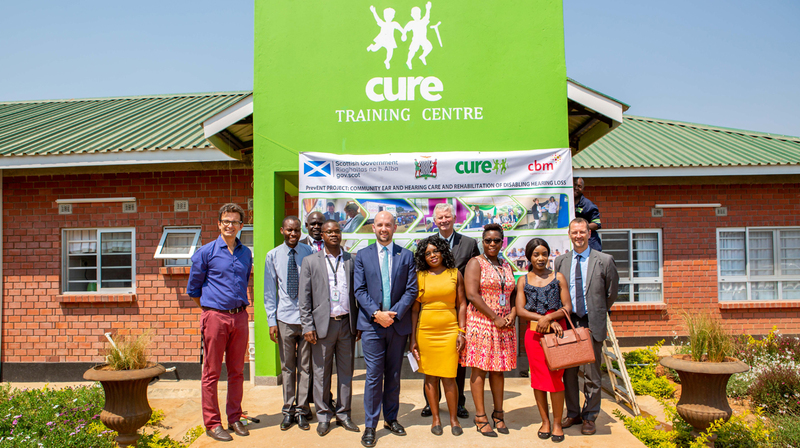 It is supported by the Scottish Government's International Development Fund. 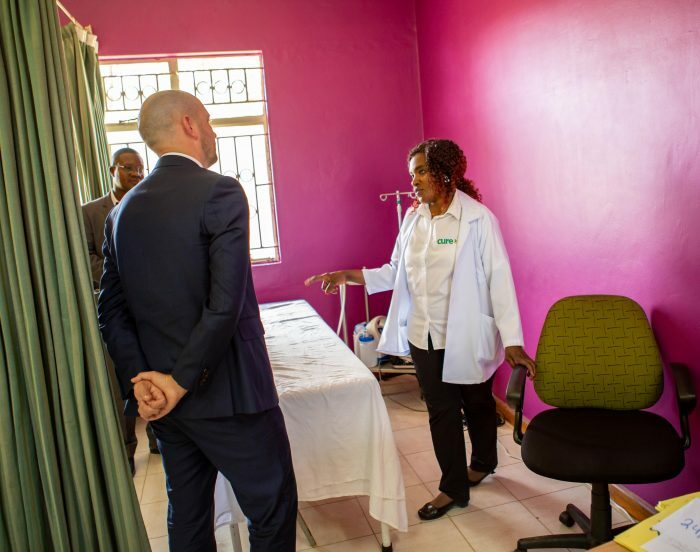 During his visit, the Minister met with nurses being trained through the programme and children receiving treatment. 50% of disabling hearing loss is preventable, but a shortage of equipment, medical supplies and trained staff leaves many children struggling needlessly. As part of this life-changing programme, CBM is training over 300 community health workers, nurses, clinicians and audiologists, and equipping over 100 community health clinics with necessary ear care equipment and medical supplies. In Zambia, children with disabling hearing loss routinely struggle to access education, while adults often face unemployment. Outside the capital, most people have no access to hearing aids as they aren’t widely available and are very expensive. Read Balika’s story about hearing loss in Zambia. Images: Top – (left to right) Dr. Giorgio Lastroni, Beit Cure Hospital (BCH) Medical Director; Steven Chishimba, BCH ENT Programme Manager; Pastor Harold Haamumba, BCH Spiritual Director; Dr. Harrison Phiri, BCH ENT Surgeon; Scottish Minister for International Development, Ben Macpherson; Mr. Steve Hitt, BCH ED; Patricia Musonda, Nurse Kapiri Urban Clinic; Ms. Juliane Hachaambwa, BCH Nursing Matron; Yangose Mwale, Clinical Officer Kabwe General Hospital; Sergio Mainetti, CBM Country Director for Zambia. Bottom – Ben Macpherson meeting with Nurse Evelyn who has been trained as a part of the ENT programme.